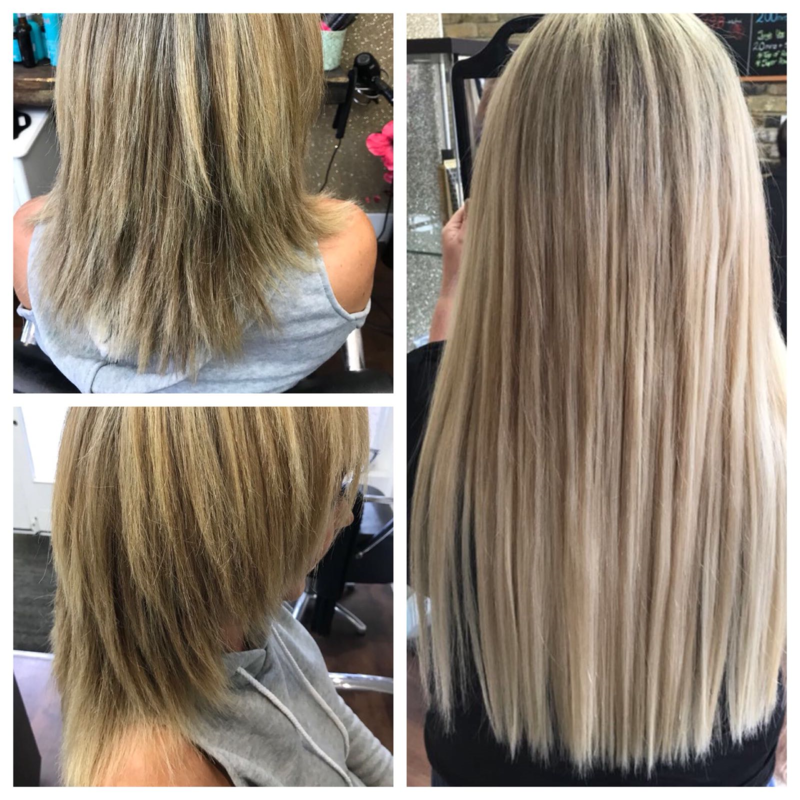 At Luminate we also specialise in hair extensions: Our team have years of experience working with the mini tube system. This damage free system gives natural looking results which last months before maintenance is needed. You can use this method to add length, volume, highlights, ombre looks or just flashes of colour. Our method are the most discreet extensions available. Your full head of extensions will be blended and cut into the desired style once fitted. The hair we supply is double drawn, premium quality, Brazilian hair and can be reused for upto 2 years with correct aftercare. We will only fit our own hair as we can guarantee the quality supplied. 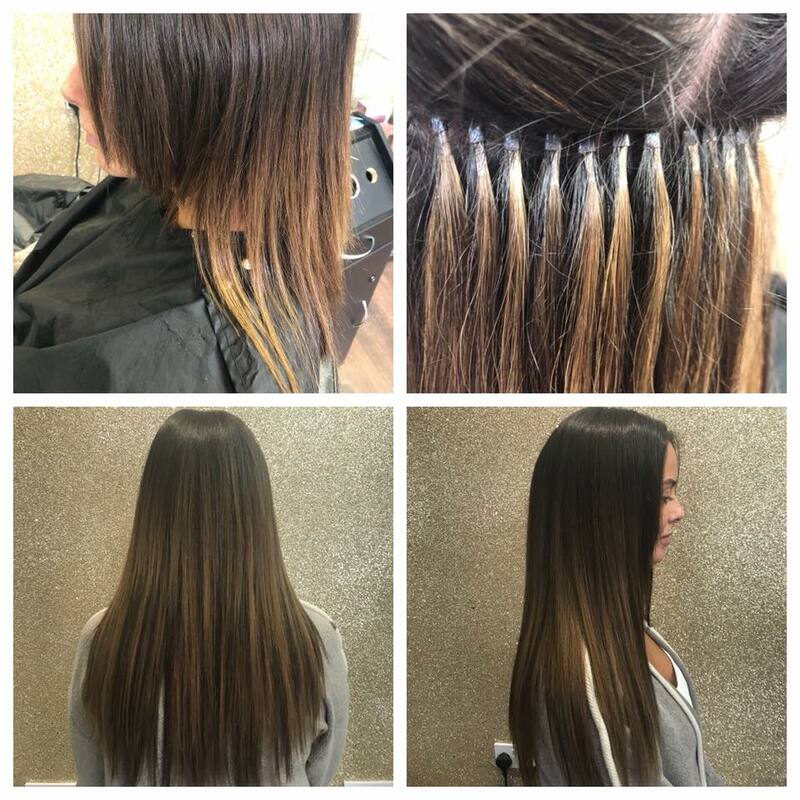 You will need to come in for a free consultation and colour match a minimum of 2 days before you need the extensions fitted (a non refundable deposit will then be taken to secure the fitting appointment). 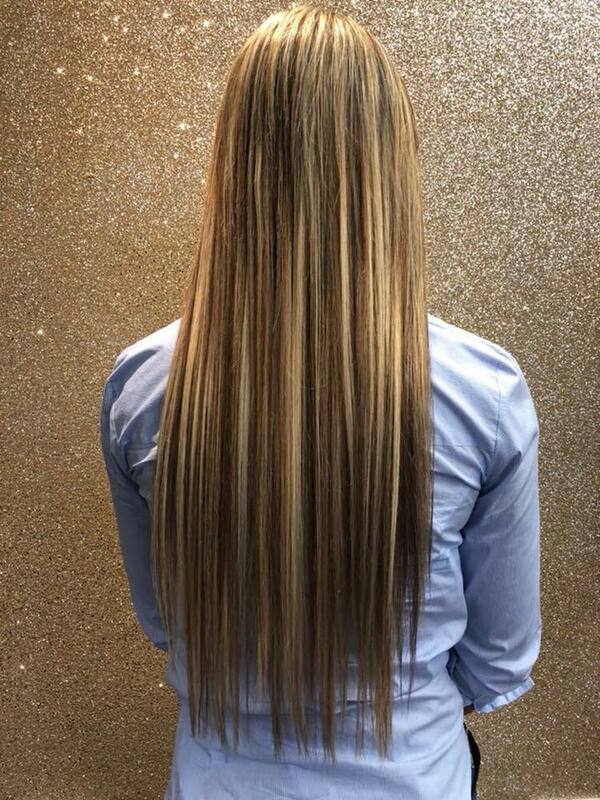 We also have a selection of clip in extensions in various lengths and colours in salon. 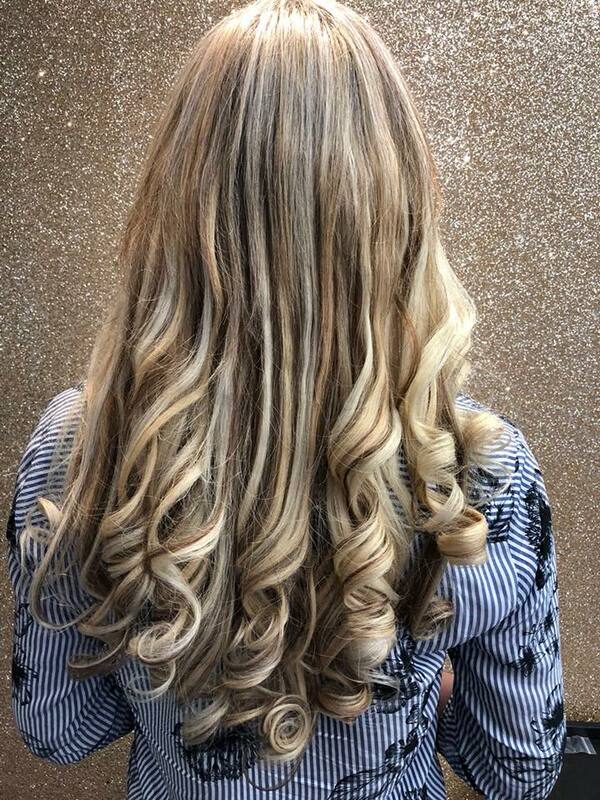 Extensions are a fantastic way to not only add length but also thickness, colour such as highlights or ombre colouring. Maintenance will be needed to keep your hair extensions looking and feeling their best. 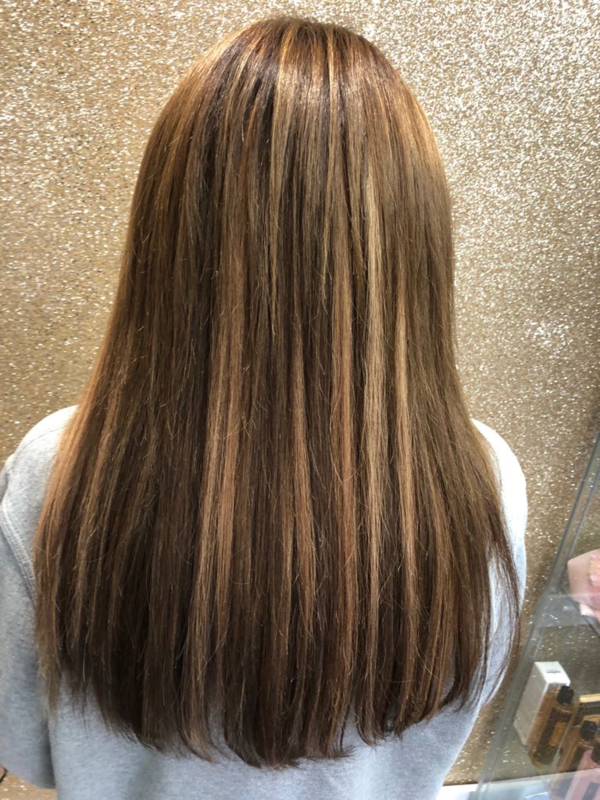 As your own own hair grows the extensions will grown down with it and loosen, during your maintenance visit you will have all your previous extensions removed, re rolled if needed and then re applied with new rings followed by a cut and style. This will take around 3 hours for a full head. 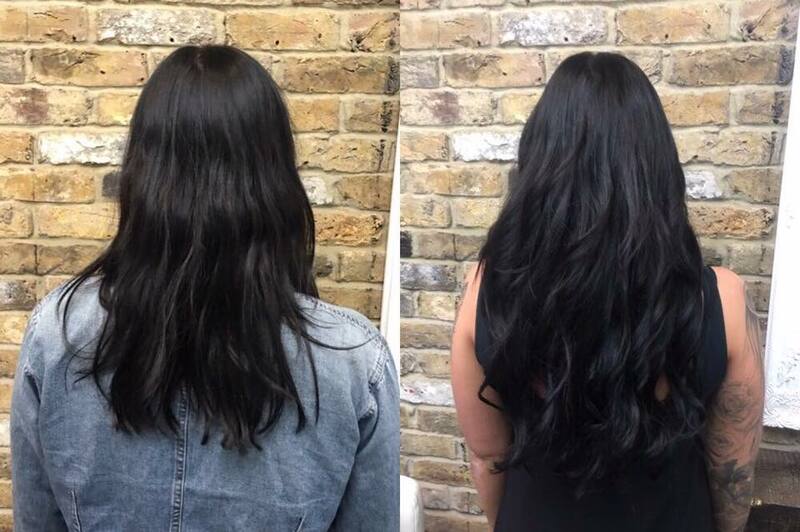 You will need your extensions removed professionally to ensure that no damage happens to your own hair. Once the extensions have been removed you can take the hair away with you for use at another date. £80 per hour for all extensions.